Since the election of Mahathir Mohammad on 9th May, the media is full of ‘bad news’ when it comes to China-Malaysia relations. The immediate talk was that Mahathir and new Pakatan Harapan (PH) government will scrap many of the key Chinese projects in Malaysia. There was even talk of Malaysia re-evaluating its participation in the Belt and Road Initiative (BRI). The Chinese ambassador was reported to be scrambling to get an appointment to see the new PM Mahathir and issue him with an open invitation to visit China. There is no doubt that BRI is a key component of the Chinese foreign policy calculation towards Malaysia but I would argue that Malaysia’s geographical position is much more important. To understand the Chinese anxiety, one must remember the recent actions of Najib Razak, the previous PM. Najib played a key role in pushing Malaysia closer and closer to China during the last four years of his premiership. China not only became Malaysia’s main source of FDI but the Chinese invested big in Malaysia, not only in capital but also political relations. Najib himself made at least seven visits to China since assuming power in 2009, where he was feted as a special guest. Najib’s father, Tun Razak, Malaysia’s second prime minister, opened-up diplomatic relations with China in 1974, and Malaysia became the first ASEAN country to recognise China. Thus, according to Beijing, Razak’s son Najib, easily qualifies as China’s “old friend”. In turn, Najib has described China as a “true friend and strategic partner”. Najib sharply turned to China once the 1MDB scandal exploded and western investors began to stay away from Malaysia. China was not-only willing to fill in the financial void but more importantly, understood that helping Najib with the 1MDB financial mess would mean it was easier for China to pursue its strategic goals. Chinese companies not only bought assets that allowed 1MDB to offload some of its debts but there are allegations that some Chinese projects were involved in high-level kickbacks and money laundering. China also began to invest heavily in infrastructure projects where viability was suspect. Top of the list is the East Coast Rail Link (ECRL). It will cost M$55b (approx. USD14b). Under the loan agreement signed in November 2016, China’s Export-Import Bank (Exim Bank) will provide 85% of the financing, with Malaysia forking out the remaining 15%. Many suspect the project was overpriced. Other ‘mega projects’ include Forest City, Melaka Gateway and multi-product pipeline (MPP) and Trans-Sabah Gas Pipeline (TSGP) projects. The total value is approximately USD140billion. In a significant break from all previous administrations, Najib also announced that Malaysia was willing to buy arms from China, and perhaps more significantly, gave the Chinese navy limited access to a port in Sabah. Another extraordinary part of the relationship during the Najib era was the political links between the Malaysian Chinese Association (MCA), the second most important political party in Najib’s ruling coalition. The MCA, which seeks to represent the Malaysian Chinese in government, went to extraordinary lengths to showcase its support for the BRI. The party established BRI centres within the party structure to promote the concept among the business community. During the recent general elections, MCA election billboards even featured a picture of Xi Jinping shaking hands with the MCA president. On top of this, MCA and other Chinese BN parties sent their party officials to Beijing to attend CCP’s training school. While many observers claimed that China’s primary interest in Malaysia is the BRI, I beg to differ. There is no doubt that BRI is a key component of the Chinese foreign policy calculation towards Malaysia but I would argue that Malaysia’s geographical position is much more important. A lot of observers do not understand that Beijing sees Malaysia as perhaps the most important country in Southeast Asia at the present moment. If you look at the map of the region, the only country that straddles both sides of the South China Sea is Malaysia. Malaysia and China are both claimants to some of the islands in the South China Sea. Brunei, the tiny kingdom with competing claims is already known to be very pro-Beijing. By getting close to Malaysia through a mixture of political, military and trade ties, Beijing can ensure that there is no direct confrontation between Malaysia and China over the South China Sea. In fact, during the Najib era, I was told personally by a former US official that the US kept egging Malaysia to file a formal complaint to Beijing over Chinese ships, including military vessels, entering Malaysian waters off the coast of Sarawak. The US was willing to provide satellite and other evidence but the Malaysian government was not interested. Mahathir understands this better than anyone else. One of the first thing he did when he came into office was to tell Beijing indirectly that Beijing must withdraw all of its warships from the South China Sea. This sort of statement would not have come from the Najib administration. To show a degree of independence, Mahathir also announced that all the mega-projects signed by the Najib administration will be reviewed. Mahathir then sent his closest advisor, Daim Zainuddin, to Beijing in late July 2018, to discuss the big Chinese projects in Malaysia prior to an official visit by Mahathir later this year. Sending Daim, who holds no position in the new Mahathir administration, is a signal that everything is on the table for discussion. It is widely understood that Beijing will have to make some concessions to Malaysia before the visit can take place. 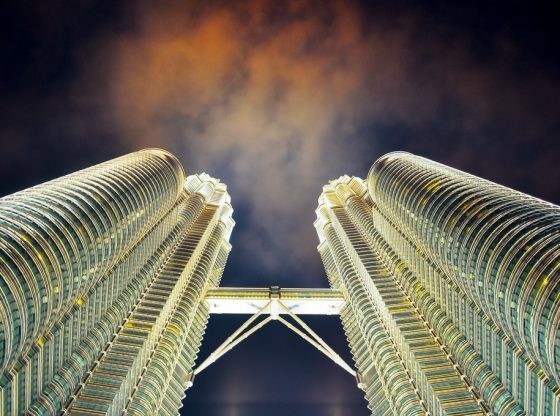 The over-riding fear on the Malaysia side is that the massive Chinese investments may lead to over-dependence on China for capital and trade, which in the long term, may lead to a loss of sovereignty. The often-cited example is the case of the strategic port of Hambantota in Sri Lanka. Sri Lanka was forced to hand the port over to Chinese control when it could not pay its debts. Countries in the Balkans may soon find they will be joining the Sri Lankans. Malaysia is of course far ahead of economies such as Sri Lanka but there are real fears that Chinese investments may lead to unmanageable debt. There is also a high degree of suspicion that many of these investments are “political investments”. There is an added problem of Malaysia’s domestic politics. The minority Chinese (but economically dominant) population in Malaysia are viewed with suspicion by the majority Malays. MCA’s all-out effort to promote Chinese investments and BRI added to the suspicion that the Malaysian Chinese are too keen for the Chinese to come into Malaysia in a big way. Mahathir will have to walk a tightrope on the Malaysia-China relations. He must pull back from the widely held perception that the previous administration was too close to the Chinese and allowing the Chinese a free-hand in the Malaysian economy. On the other hand, he will not antagonise Beijing unnecessarily. He understands the reality of living in China’s backyard. In summary, Beijing will have to decide. It can play hardball with Mahathir in regards to all the signed investments or it can re-negotiate (read: reduce the price) of many of the signed infrastructure projects to show that it is sensitive to the needs of the new administration. James Chin is the Director of the Asia Institute, University of Tasmania. He is an expert on Southeast Asia, especially Malaysia, Singapore and Brunei. He is also a Senior Fellow at the Jeffrey Cheah Institute on Southeast Asia. Image Credit: CC by Davidlohr Bueso/Flickr.